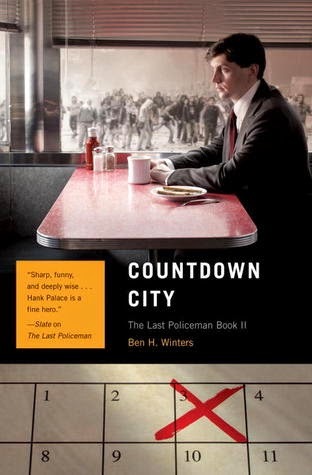 As the second entry in the Last Policeman trilogy, Countdown City had the possibility of being the dud book of the series. Therefore, I was immensely happy to find that Ben H. Winters had managed to write a better story than the first (which was also really darn good). In this next part of the story, we're a little closer to the day when an asteroid will strike the earth. Social constructs are starting to break down even more than before and it's become near impossible for Henry Palace to continue his work as a detective (especially since he's officially lost his job). Yet, he still must find a way to be who he needs to be to keep sane during such a crazy time. His morals are tested, his ties to other people are probed and a compelling mystery is solved. I have very high hopes for the third book (World of Trouble) which comes out on July 15. And, since the first book took me one day to read and the second one only slightly longer, I won't have to set aside much time for it, which is always good news to a reader. 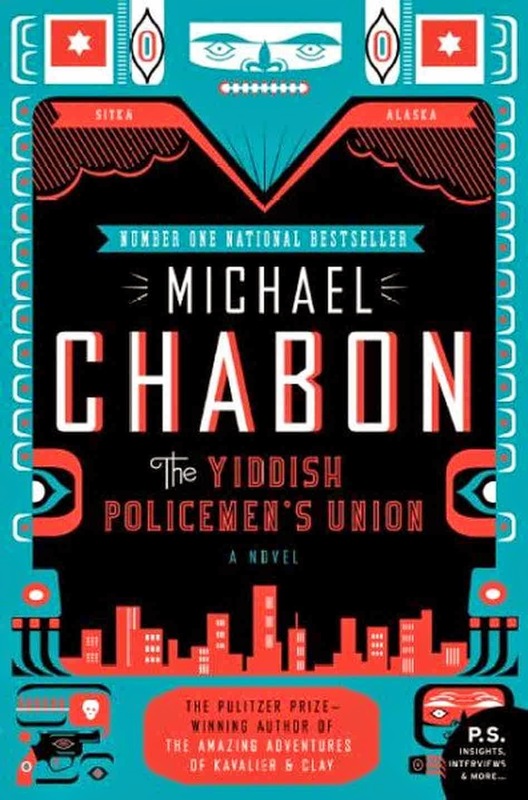 The Yiddish Policemen's Union had been on my TBR shelf for a while but, since I knew it would be both quirky and amazing, I was waiting for the right time to take my next journey with Michael Chabon. In this alternate history, Jews were relocated after WWII to Sitka, Alaska as a temporary safe haven. Now the time has come sixty years later that the U.S. government is essentially kicking them out to find their own way again. As their time winds down, Detective Meyer Landsman has to confront his own demons, his open cases and his ex-wife. But there is one murder case that could be the death of him if he's not careful. I have to say that the similarities between these two stories (counting the two Last Policeman books as one story) were strange. I can't talk much about some of them because of spoilers but the basic premise of how someone in the business of law and order reacts to a break down of the system they have worked to uphold was a really interesting parallel. Each of these men dealt with their situation in a very different way but both of them still kept their honor and integrity intact. Of course, one book also explored some different facets of Jewish/Yiddish/Hebrew culture and that was also quite fascinating. And Chabon's writing was again so wonderful that I would read sentences and paragraphs over and over because they were just perfect. p.s. I received an ARC of Countdown City in exchange for an honest review. Whoa! Your blog is all different! I like it, I love the leaves and everything. Looks great. I'm very excited for the third book in the Last Policeman series. The first two were great fun -- can't wait to see what Winters does to wrap it all up. Yeah, I haven't announced the design change because I'm still getting used to it and deciding if I want to tweak it. I do like the brightness. It was seeming a bit dark and gloomy. And I am really dying to read the third book. I'm wondering if it will still be pre-asteroid or during-asteroid or post-asteroid. There are possibilities for all three! I received Book 1 adn 2 for review also but haven't got to them yet. Your reviews have me excited. My goal is read Last Policeman before Book 3 releases. I was really pleasantly surprised by the first two books, both the plots and the writing. They are very, very strong. I hope you enjoy them! I'm *dying* to get the third book already. I'm a little sad that it will be the last book in the series, but I'm sincerely hopeful that the author will publish something else - a series, a book, short stories, something - because I've truly loved reading this series. Lucky you to have gotten an ARC!